New Zealand and I share more than a bit of history! You see, not only was my beautiful mama born and raised there, but it was the very first overseas destination I ever visited. The country wormed its wily wonderful way into my heart on that very first visit, and has drawn me back again and again. But it is a country that has, until now, evaded invasion by my little quarter kiwis. There are so many things to see and do in New Zealand that it was hard for us to decide where to begin. 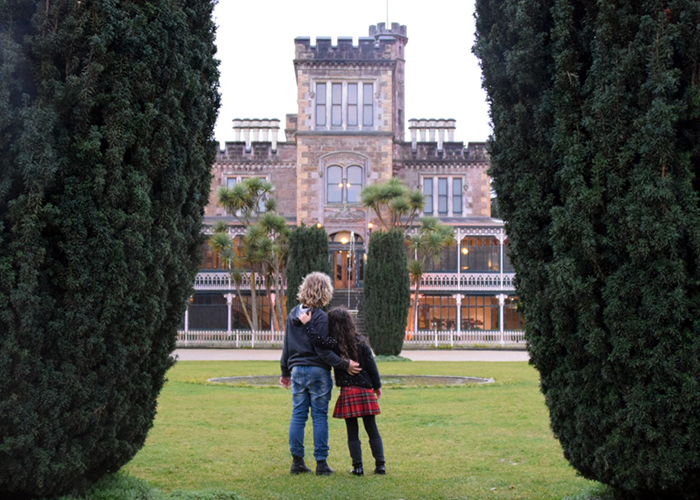 But happily the South Island’s Dunedin proved to be the perfect spot to introduce Raffles and Sugarpuff to the wonders of a country that is such an important part of their heritage. Our visit even left their Kiwiphile mother surprised by just how much the city has to offer families. Of course, I knew Dunedin had history and heart. And plenty of epic scenery. I mean, it is New Zealand after all. 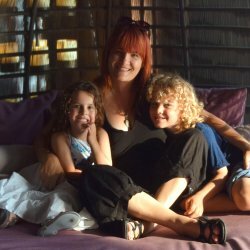 But it has so much more: a fascinating cultural history, historic architecture and kid-friendly museums, modern street art and cutting-edge science festivals, unique landscapes, natural attractions and wondrous wildlife in abundance… not to mention its kickarse restaurant scene! 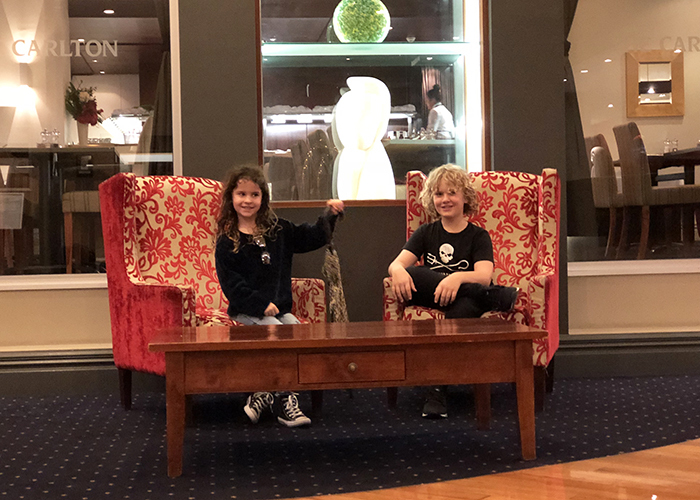 And I’m happy to report the kids left both smitten and smarter, thanks to our visit coinciding with The New Zealand International Science Festival. They also left a touch wider after consuming their body weight in the city’s culinary delights. But don’t take my word for it. Here, Raffles (10) and Sugarpuff (7) share their thoughts on Dunedin by kids. He said: “The International Science Festival blew my mind. I have never had so much fun or been so excited by science. There was so much to do at the University of Otago Expo. I got to help with an actual heart dissection, and play with robots and use super advanced VR technology and heaps of other epic things. I thought the Future Energy Show would be a bit boring but boy was I wrong. 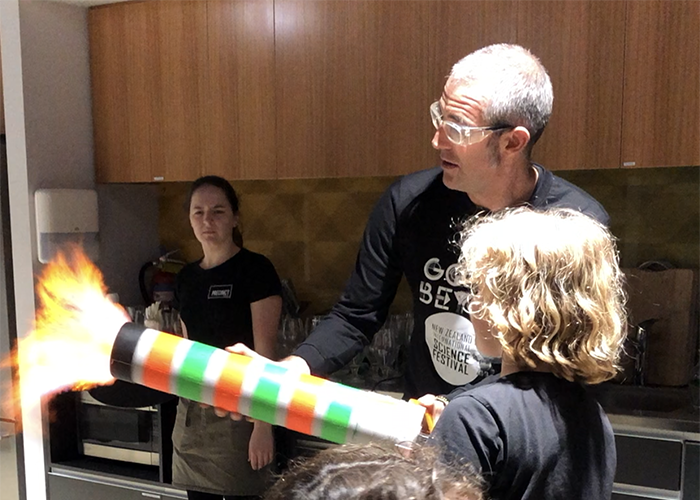 Dr Graham shot marshmallows out of cannons, sent rockets whizzing, and made things explode and burst into flames and it was the coolest hour of the whole Science Festival. 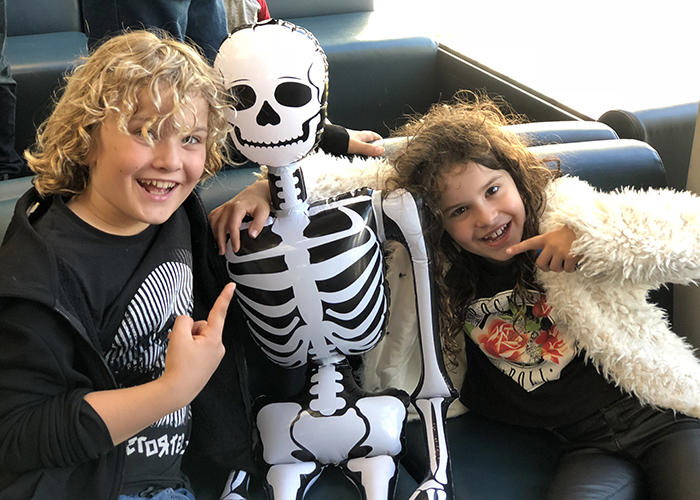 She said: “We had the best time ever at the Science Festival. They had a special day for kids and we got to do experiments and I even made my own pipe cleaner neuron. A neuron is a thing that sends messages from your brain to your body to make it work. I made a punk one and if it was real it would make me rock! I got to take a really cute robot called Nao for a walk. I think she liked me better than my brother because he tripped her over. There was also a show about future energy and the man on stage kept exploding things and it was noisy and fun. One night a nice lady called Amie took us to a real Observatory Dome and we looked through the biggest telescopes ever to see Jupiter and Saturn, I could even see its rings. I like stars”. Its Maori history goes back many years but it was Captain Cook’s reports of seals that initially drew sealers to Dunedin at the beginning of the 19th century, the area soon becoming an international whaling port. Unlike the English settlement of most of New Zealand, Dunedin was founded by the Scottish Free Church in 1848, the city’s name is even derived from the the Scottish Gaelic name for Edinburgh, Dùn Èideann. In 1861 gold was discovered, and the ensuing gold rush led to a further influx of people from around the world. The city is home to New Zealand’s oldest and most beautiful university, incredible architecture, castles and historic Homes and a raft of great museums housing artefacts that make the region’s history come to life. He said: “Even though Dunedin isn’t really old it has loads of really interesting history. The Maori people lived there first and we learned a bit about their traditions in the Otago Museum. I’d like to find out more though because it’s really, really interesting. 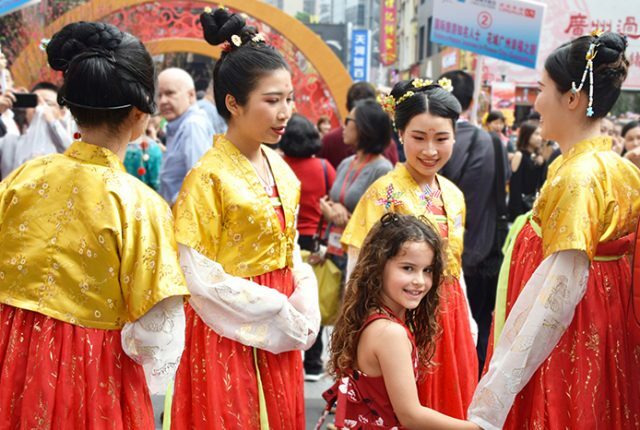 European settlers didn’t come until the 19th century. They were mostly sealers and whalers and the Scottish came to settle in 1842. A little while later they found gold and that attracted Chinese people and there’s now a really pretty Chinese garden to commemorate their contribution to the city’s history. My favourite thing though is the old architecture. The University of Otago and The Dunedin Station are both epic! 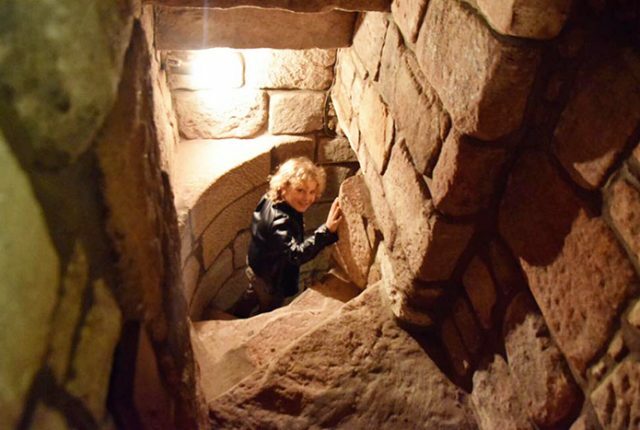 But Lanarch Castle was my favourite place, and not only because I got to fill my face with scones and cakes at an awesome high tea. 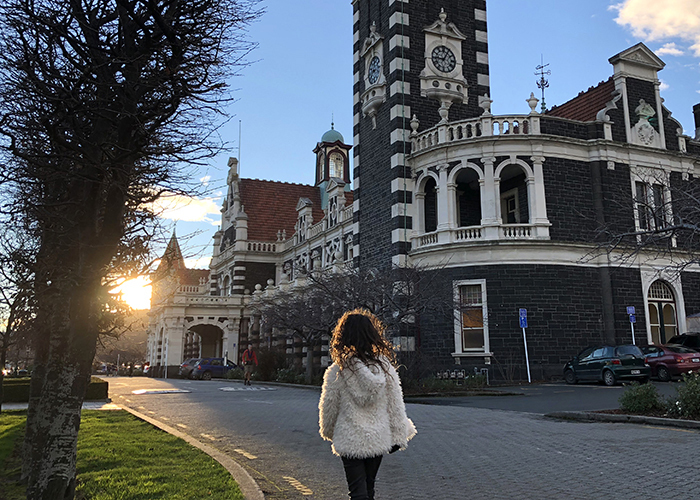 She said: “The old buildings in Dunedin were really pretty especially The Train Station because it was all stripy and had a big tower. But I loved Lanarch Castle best because it was super old and had big lions on its steps and it looked like a Queen would live there. Dunedin’s fascinating history and artistic culture are made extremely accessible in the outstanding collections at its world class museums. 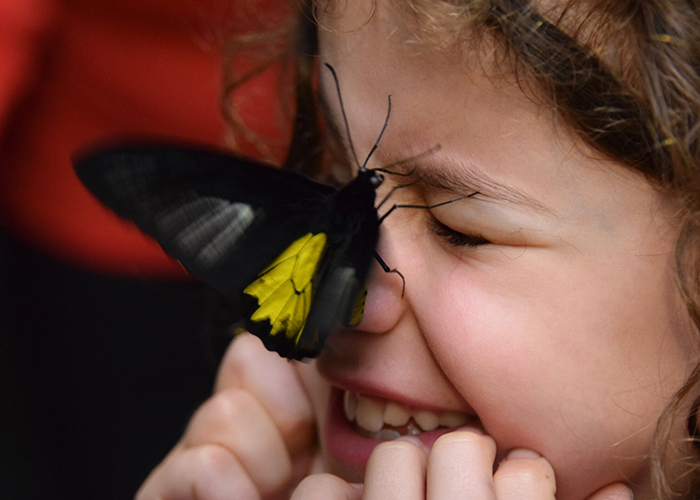 The brilliant Otago Museum was a big hit with my little visitors with its living tropical butterfly forest, planetarium and hands on science exhibit, Tūhura, to more traditional cultural and natural displays. In fact, it’s so good I had to physically remove them as they would have happily stayed for a week. 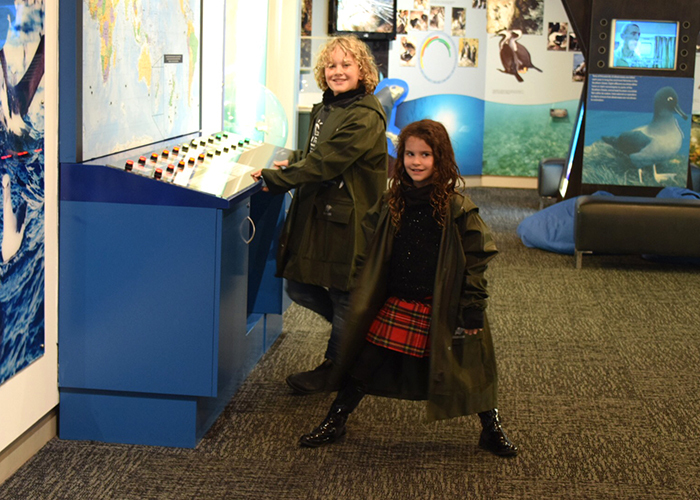 The Toitu Otago Settlers Museum is a great spot for kids to learn about the social history of the area while Dunedin’s Public Art Gallery is one of the country’s best, not surprising given the arty and creative city Dunedin is. 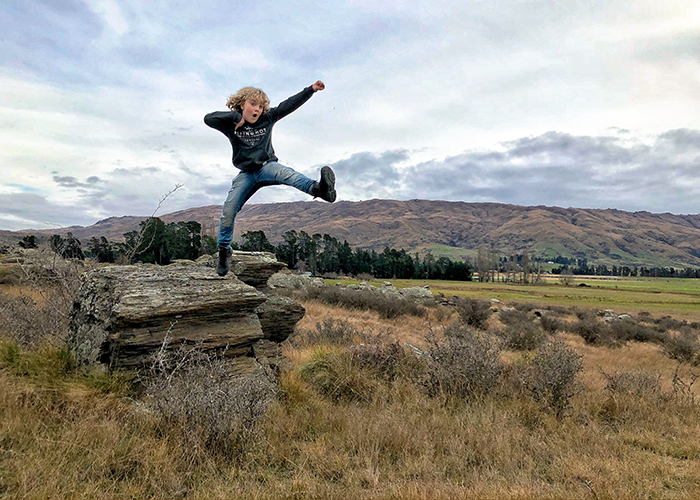 He said: “I learned a lot about the people who made Dunedin at Toitū Otago Settlers Museum and they had some pretty cool exhibits but the Otago Museum was the best museum I have ever visited. Every section was epic. 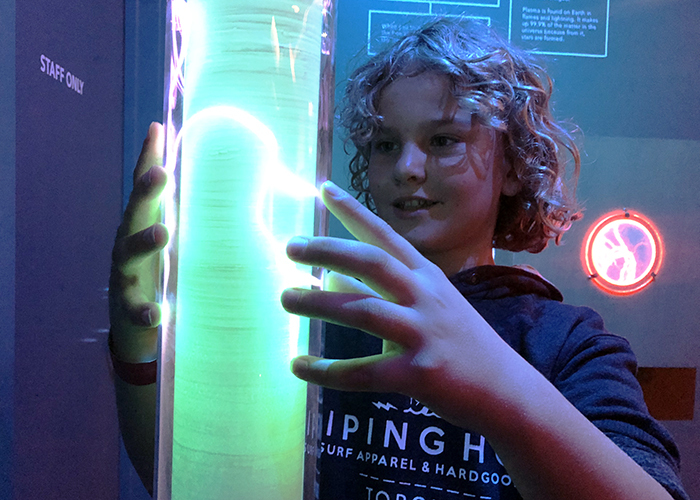 There was a bunch of interactive activities in Tūhura, a science exhibit where they had a helical slide, laser-activated screens, multi-player games, and a huge tub with rocks and mining tools so you could dig at them. She said: “I could have stayed at Otago Museum forever. There were loads of rooms filled with amazing things like animals and Maori treasures. There was also a planetarium where we got to see the stars and planets and constellations, I liked Leo the Lion. Dunedin may be small but it is a world class food city that knocked our tastebuds for six. We tried everything from its farmers markets and hole in the wall takeaways to cafes and fine diners, and didn’t eat a single meal that wasn’t memorable. 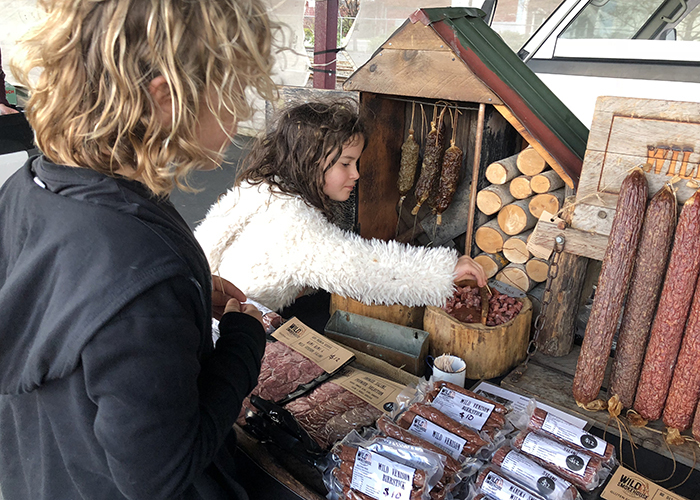 The region’s incredible local produce is whipped into creative culinary masterpieces by talented chefs and craftsmen, making Dunedin a destination that should be on every self-respecting foodie’s radar. 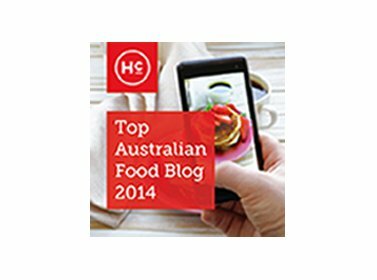 He said: “Dunedin’s food scene is off the charts. We ate so much great food that I don’t even know where to start. I guess I should start with what they call Southern Sushi, a local variation of a cheese toasty that is serve rolled and is pretty yum. But that little treat was just the start of an epic culinary adventure. They love a bagel in Dunedin and I had the best haloumi and bacon stuffed version at Beam Me Up Bagels as well as some epic bagels stuffed with all kinds of good things at the arty Morning Magpie, across from Dunedin Railways. The Otago Farmer’s Market was so different to any I’ve been to before. The produce was really different, like Venison salami. I got to nosh on a Banh mi inspired ginger chicken roll but it was the marvellous creations at the Crooked Spaghetti Company, like their genius Breakfast Lasagne topped with a poached egg and stacks of oozy hollandaise sauce, that I was most excited by. 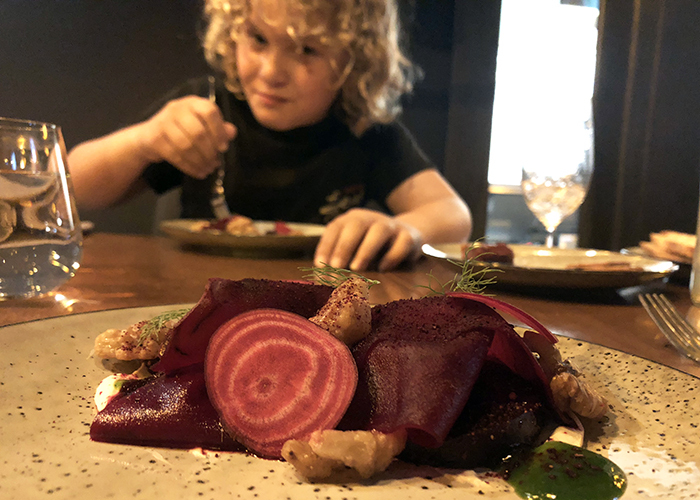 For dinner, we enjoyed yummy sticky beef wontons and Peking duck tacos at Vault 21 and the most delicious and delectable three cheese soufflé and confit duck leg at No 7 Balmac. There was fine dining too at the incredelicious Moiety Restaurant, where I was sent to heaven with a five-course degustation meal. 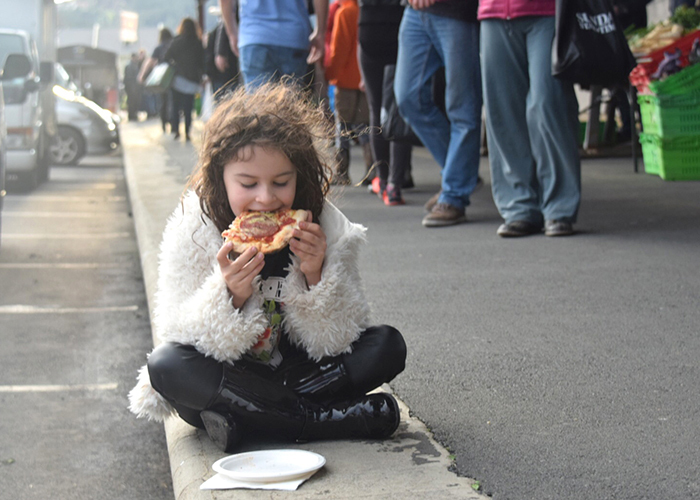 She said: “At the Farmer’s Market I ate juicy apples and mum let me have pizza for breakfast. 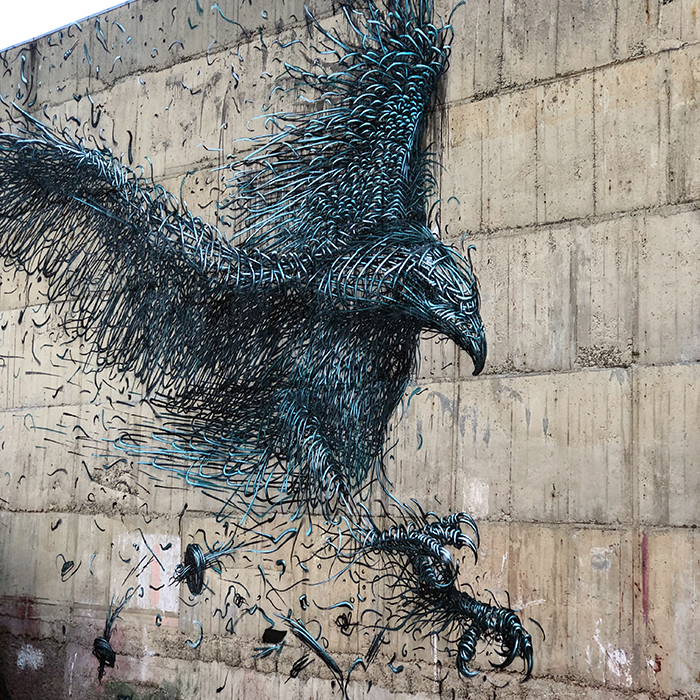 Dunedin is all about art and the Dunedin Street Art Trail is a must for visiting families. 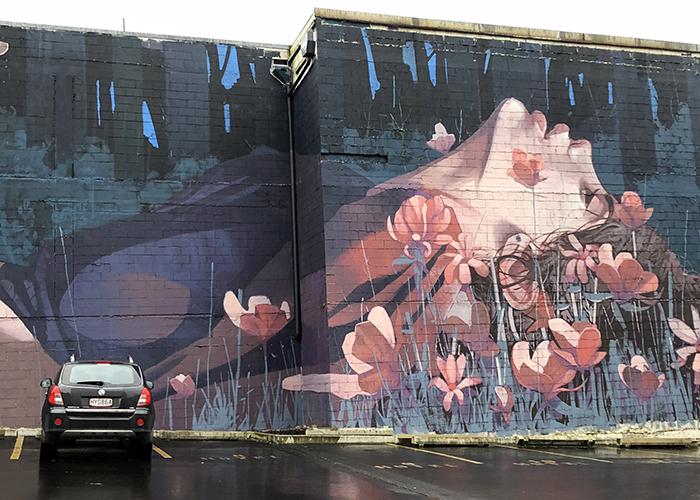 The city’s walls are an ever-evolving gallery of incredible artworks by local and international street artists, and the trail makes for a fun and colorful way to explore Dunedin. 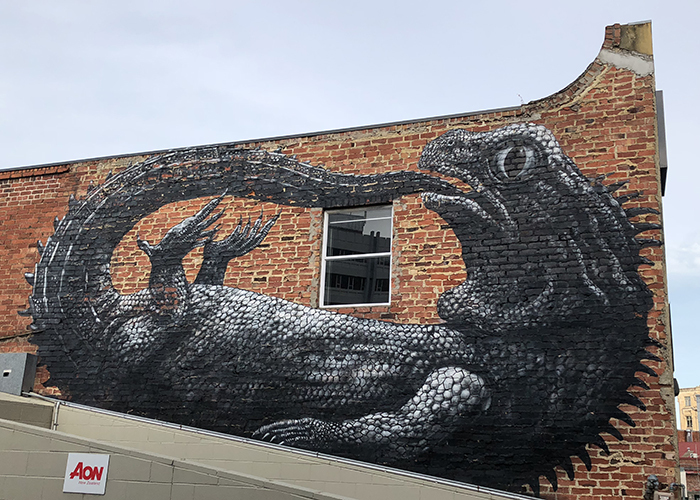 He said: “Dunedin is a pretty indie kind of place, as demonstrated by my mum’s love of their jangly old indie rock bands, which she came to Dunedin to see back when dinosaurs were still stomping around the streets. There is still lots of live music and cool edgy fashion but the indie vibe has also spread all over its walls. We loved following the city’s street art trail to spot some of the best artworks, although we probably would have enjoyed it more if mum hadn’t insisted on singing songs by some band called the Straightjacket Fits, off key, the whole time. Sheesh! There were some serious artworks and some seriously strange ones, which, of course, were my favourites. She Said: “The walls in Dunedin are all covered in paintings and crazy stuff. Dunedin’s stunning renaissance revival-stye railway station is the starting point for many an amazing rail journey. 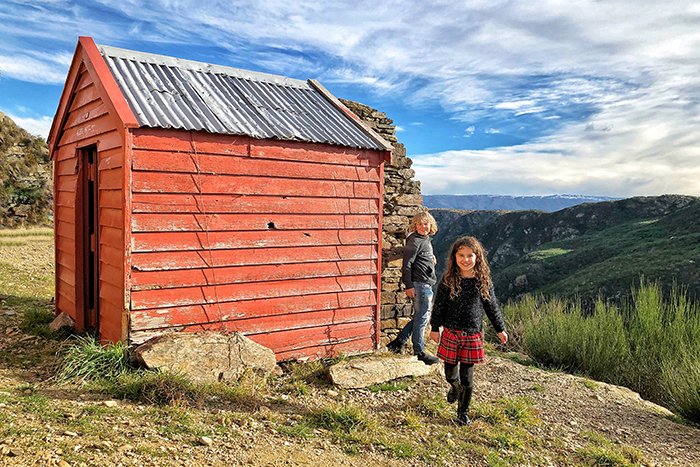 We were lucky enough to take Dunedin Railway’s trip along the scenic Taieri Gorge route to Middlemarch, passing ever changing scenery as we rode the rails through the Taieri Plains, rocked into the Taieri Gorge and rolled through ten tunnels across countless bridges and viaducts. 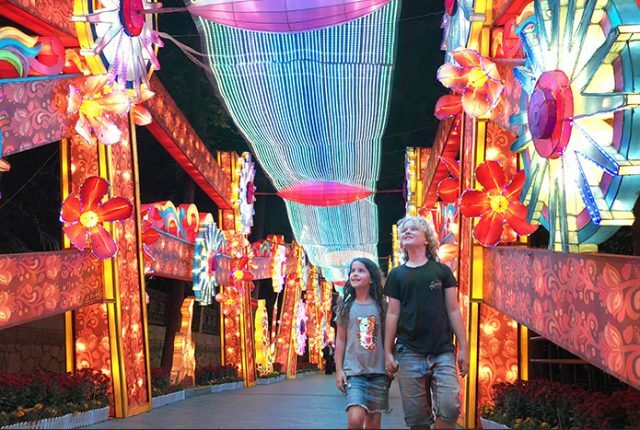 It is one of the world’s most extraordinary rail jounreys and the commentary on its engineering feats and history, along with the gobsmacking views, kept the kids excited for the entire journey. A stop at Middlemarch for a horse and cart ride and a picnic from the Kissing Gate Café was added icing on this magnificent cake. 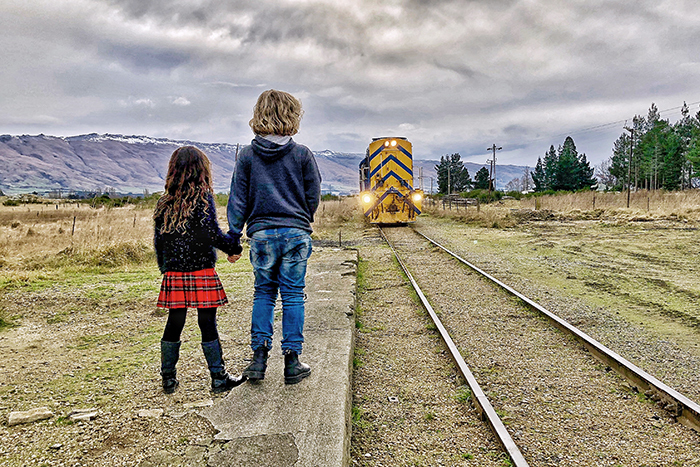 He said: “I never knew a train ride could be so epic. Our train ride took us through the Taueri Gorge to Middlemarch, which sounds like the kind of place you might find in the Hobbit. Speaking of which, the train actually click clacked its way past the rock formations in Sutton which were used in the movies! You know that bit when the orcs are chasing Bilbo and his friends on the back of wolves… yeah well, I know that’s like the whole movie but this was one of the places that the orcs were chasing them on wolves. And the train journey went past some pretty spectacular scenery and over cool viaducts and bridges. It was such a nice day they stopped the train half way so we could all jump off to enjoy the views. Middlemarch wasn’t really all that Hobbity but it was super nice. There was a horse and cart waiting for us as we hopped of the train and we went on a picnic amongst the orc rocks near the Salt Lake. Our lunch was from a place called The Kissing Gate Café and we feasted on still warm toasted sandwiches filled with indescribable yumminess as well as cakes and southern sushi (cheese toasties). She said: “We went on a train trip through a big gorge. We crossed big bridges like the ones in Harry Potter. I thought maybe our train was the Hogwart’s Express but they didn’t sell any Bertie Bott’s Every-Flavour Beans in the café. They had cakes and scones though. We passed horsies, and baby cows and sheep and we counted loads of bunnies. 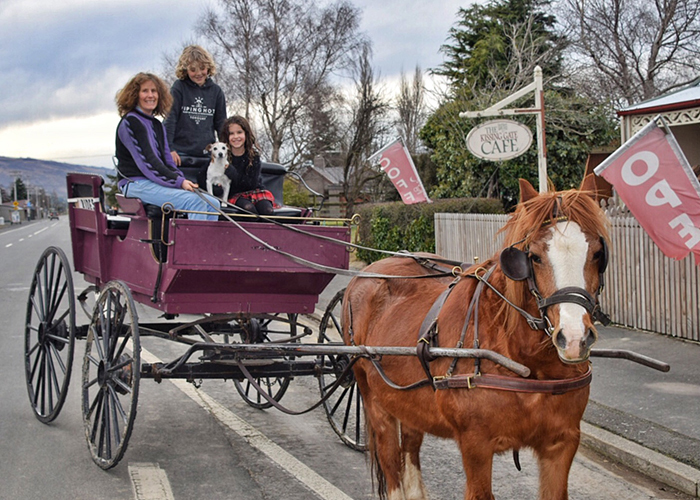 When we got to Middlemarch we went on a horse and cart ride with a friendly horse, but the best bit was the cute puppy called Spike who we were allowed to cuddle on the cart. Everyone knows about New Zealand’s iconic Kiwi, but these little guys aren’t the only feathered cuties to be spotted around Dunedin and the Otago Peninsula. The rare South Island Kaka (a colourful parrot) and a pair of Takahe (an indigenous flightless bird) can be spotted at Orokonui Ecosanctuary. 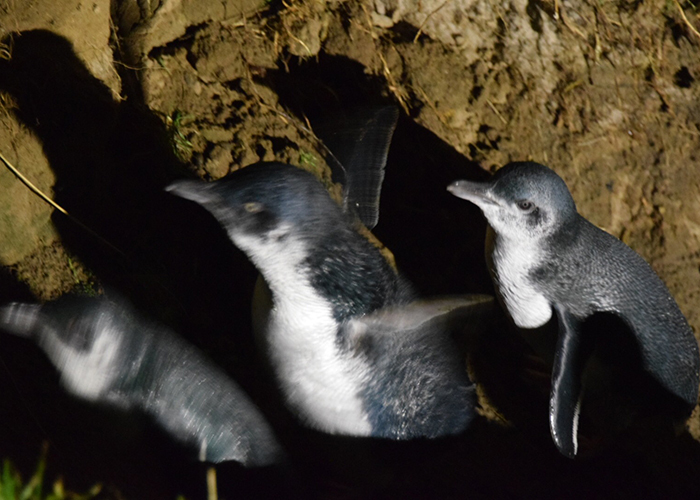 But for the ultimate in adorable, head to the Royal Albatross Centre for a Little Blue Penguin viewing tours at dusk. There’s a purpose built viewing platform and interactive walkway to keep the penguins safe, and the site of the world’s smallest penguins waddling out of the water to their burrows is an incredible sight. Less cute, but definitely magnificent, are the Centre’s colony of northern royal albatross with their three-metre wingspans! Just pack several layers because its chilly in them thar hills. He said: The Royal Albatross Centre was super cool, and I mean freezing! We had to wear about three hundred layers of clothes up there because it was so cold. She said: “They have some really funny birds in New Zealand like one called the Moa, which is like a giant mega emu, but its extinct. They also have kiwis and huge albatrosses. I got a fluffy one to bring home with me from the place where we saw my favourite birds, the super cutey penguins. 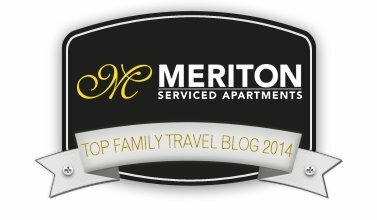 There’s no shortage of great accommodation for families in Dunedin. 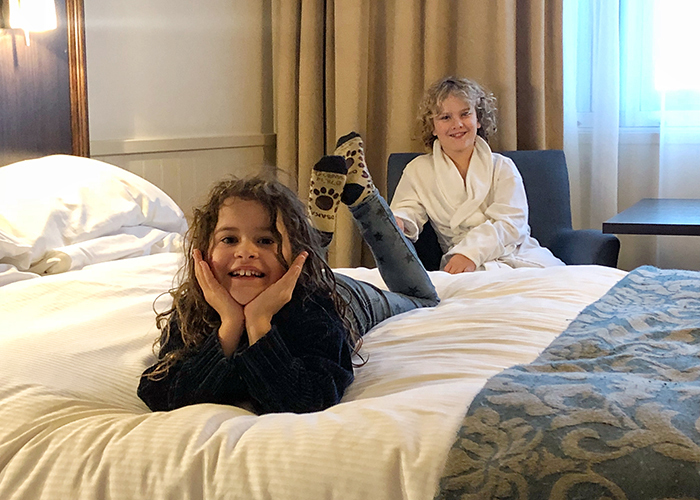 From hot hotels and boutique beauties to apartment stays, holiday parks and even castle accommodation, there’s something for every family and every budget. 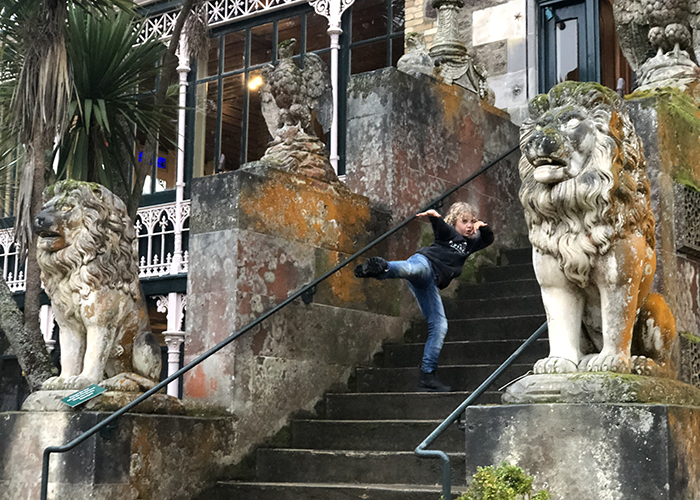 He said: “The Scenic Hotel Southern Cross was really well located in the centre of Dunedin and seemed really close to everything, we had a car parking space but could walk to the Octagon and the railway station and lots of good places to eat. 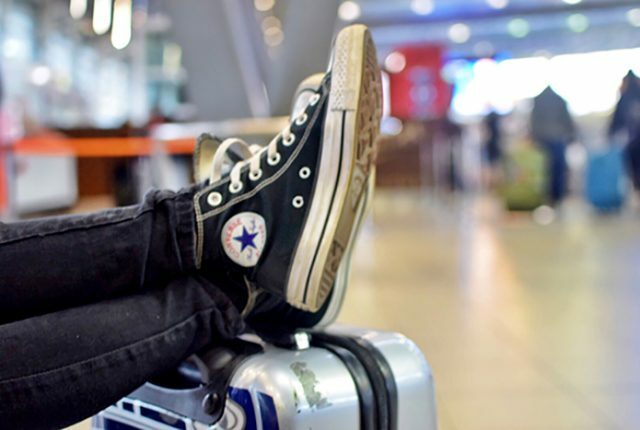 The staff were extremely helpful and friendly and our room was super comfy and modern. 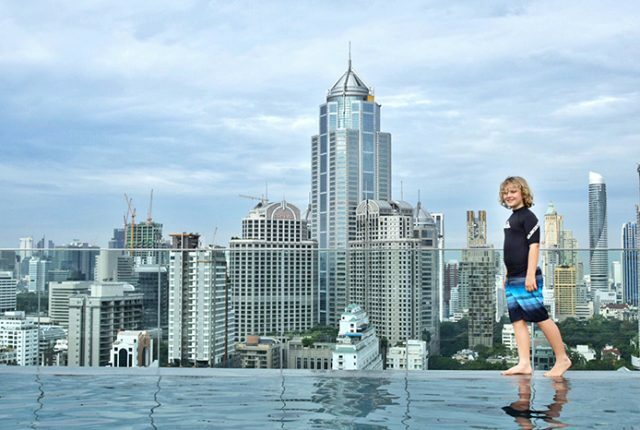 She said: “The hotel we stayed at was really nice and comfy and I got to share the big bed with my mamia. I think people have to take nice lessons to work there or else they’re just the nicest people ever. Disclosure: The Eats Worlds were guests of Enterprise Dunedin but meals were independently paid for and, as always, all opinions, science nerding, train spotting and face stuffing is our own. Omg, now I want to visit Dunedin!! NZ is by far the most scenic and relaxing place I’ve ever visited! I do certainly want to visit again. they love to share their views.